29 Vintage Limousines provides the ultimate touch of luxury by adding elegance to your wedding day. Take a step back in time to a nostalgic era in a chauffeur driven 1929 Dodge Limousine. 29 Vintage Limousines is a family-owned business that prides itself on old fashioned, personalised and quality service. 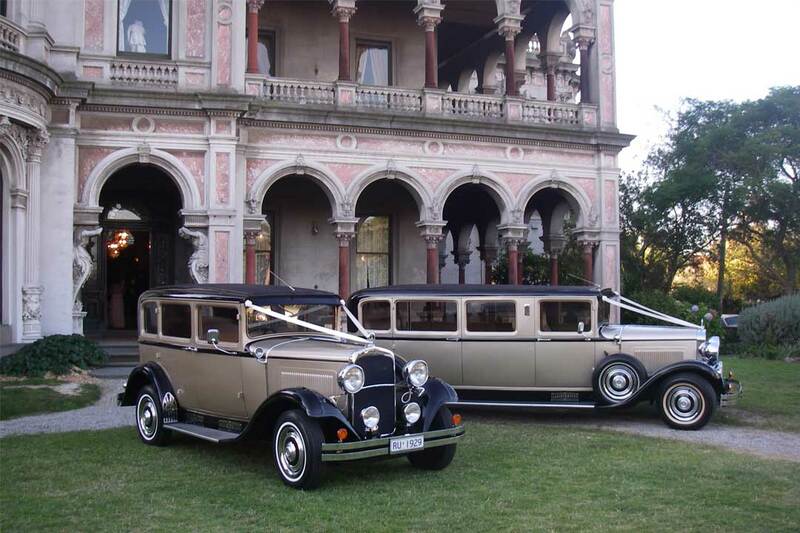 Viewing of the two eight-seater limousines, as well as the five-seater sedan is welcome, so call Nancy on (03) 9739 5991 or Liz on (03) 9739 5992 to make an appointment. You are invited to experience 29 Vintage Limousines’ unique quality service.